We will be building together a 200 sq feet structure with cob and straw bale. 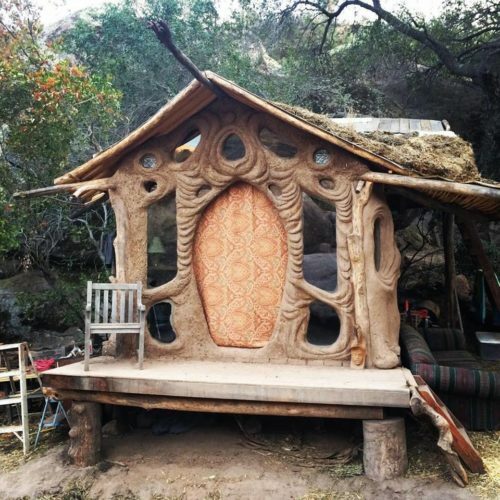 In this workshop, you will learn how to build with your own hands and feet, as well as the fundamentals of natural building. This will include foundation, raising the walls, windows, sculpting, and roof. The workshop will be held in an intentional community outside of Cottage Grove, Oregon, and it includes camping, and 3 organic meals a day. We are located on a 40-acre parcel with beautiful forests, meadows and a river close by. Join us in making a change in the world, by creating a more environmentally appropriate way of living. Partial work trade might be available. Please inquire by email.